How Companies Turn Away Potential Job Candidates Before They Even Apply - Duffy Group, Inc.
It’s no secret most people don’t enjoy looking for a new job. In fact, according to a study by CareerBuilder, 73% of people say that the job-search process is one of the most stressful things in life, and 1 in 4 employers say the amount of time it took to fill their last opening was too long. If it takes a long time to fill a vacancy in your company, the talent shortage might not be to blame. Maybe your candidate experience and weak social media presence is turning off potential hires before they even apply. Companies need to recognize that today’s applicants weigh their fit with the company as much as the company weighs the applicant’s fit with them. Hiring is now a two-way street. Firms that rely on the traditional one-way viewpoint that they have the jobs and everyone wants to work there is proving to be a failed approach. According to a recent study by the Society for Human Resource Management, more than two-thirds of companies admit they are having a difficult time finding the right candidates to fill their vacant positions. There are a number of factors contributing to this problem. For starters, companies report that fewer and fewer candidates are applying. Of those that do apply, many of them don’t have the requisite work experience that suggests they’ll excel in the roles they’re seeking. An employer’s career site is important for getting key information, however most candidates say they can typically tell what it would be like to work for a company based on their career site. Career sites can be boring and uninspiring, and companies need to think of their career sites as another form of marketing and advertising. In this case, you’re advertising for talent—a commodity that should certainly be as important as a customer. In addition to being honest and informative, your site should get candidates excited. You are, after all, in competition to attract the best people. Social media isn’t just a place to engage customers, it also conveys a lot of information about a company as an employer. Companies definitely need to pay attention to their social media presence—it should be viewed as yet another form of marketing and advertising. It doesn’t cost anything to have a presence and make your workplace look modern and attractive. By featuring company employees and events, you give potential candidates a sense of what it’s like to work for you, and it’s positive PR for the company, too. The ever-emerging multigenerational workforce demands a shift in the way we communicate. Millennials significantly prefer email communications (57 percent) over phone calls (31 percent), whereas boomers significantly prefer phone calls (58 percent) over emails (37 percent). Gen Xers have equal preferences towards email and phone calls (47 percent for both). Further, millennials are 2-3 times more likely to prefer alternative communication methods (text messaging, social media messaging and video calling) compared to Gen X and baby boomer generations. It’s no surprise compensation plays a large role in attracting and retaining talent. For example, according to Inc., 94% of sales professionals believe that their base salary is the most important factor in determining whether their compensation is fair. If your company isn’t offering competitive salaries, you may be scaring great candidates away before they even start working for you. To attract skilled candidates, you need to develop a compensation strategy that makes the most sense for your organization. Create compensation packages that encourage talented candidates to not only accept your initial offer but also to stick around for the long term. The most valuable resource an employer has is their talent pool. 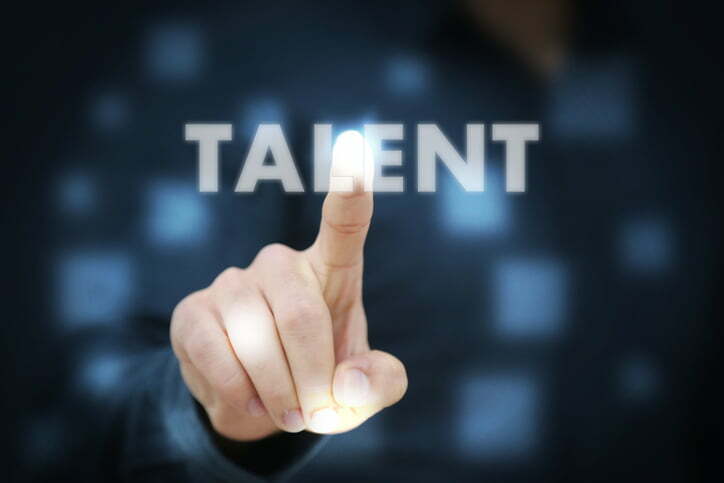 While it is important to attract the top candidates, it is equally as important to frequently and effectively communicate with your talent pool, but more than a third of employers (35 percent) say they don’t put time into doing this. If you’re having a hard time hiring talented employees — or convincing them to stick around for several years — there’s a good chance you’re doing something that’s scaring the most skilled workers away. Take a good hard look at your interviewing and onboarding processes, and work with a reputable recruitment and search firm to ensure sure you are attracting, and retaining, the best candidates for the job.